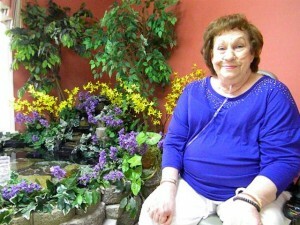 “My name is Dora Queen and I live at Macon Valley Nursing and Rehabilitation Center located in Franklin, NC and this is my personal testimony about my experience while at Macon Valley. “I will be honest with you, when I first arrived; I was afraid and not very happy about being here or having to be anywhere away from home. I had a previous experience in another facility for a short stay and I had less than an acceptable experience. “It is a powerless feeling to leave someone you love in the care of others. I imagine there are spouses, children, family members and friends of someone else in a facility or thinking about placing a loved one in a nursing facility. “What I would like for you to know about Macon Valley is that if your loved one comes here to live, you can drop your worries. I truly feel loved, cared for both medically and personally. I feel I have a voice in my care. 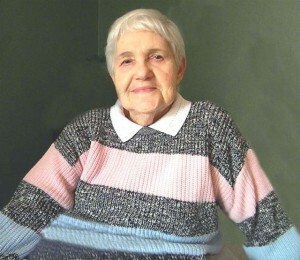 “When I first came here I was under hospice care. I could not get out of the bed. I could not dress myself. I was very sick, the staff worked with me night and day and I got stronger and stronger. I am so happy they encourage me to participate in my care. “I am now the President of Resident Council and actively participate in the activity program that occurs daily here. I also represent the voice of many others that perhaps cannot represent themselves and the staff listens and responds to any suggestions. I am all over the place and very happy to live here. “Hi, my name is Eula Nelson and I have been at Macon Valley since January 2013. “I enjoy being here. 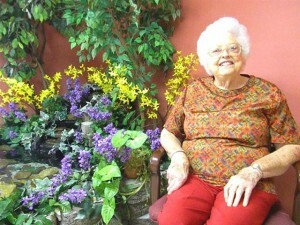 I am still active and enjoy assisting others in the dining room or activity programs as a resident volunteer. “I enjoy the food and when they served something you do not like they will serve you something else that you do like, it is nice to have a choice. 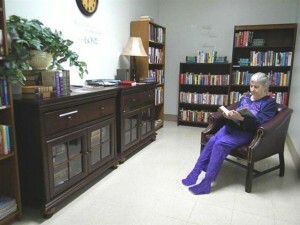 “I enjoy reading and I am so grateful that Macon Valley has a library for the residents to use. “My name is Velma Stiles Buchanan. I was born here in Macon County, NC. “I went to school here at Union thru eighth grade then on to Franklin High. I married Eliss Buchanan, Jr. we had a daughter Patricia Ann and a son Calvin Michael. “I belong to Longview Baptist Church and I have a wonderful church family. “I have two brothers and two sisters (living) and one brother and one sister deceased. 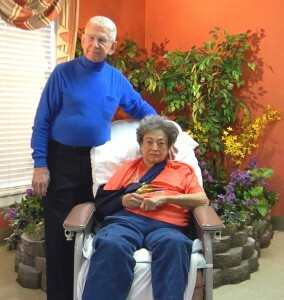 “I recently had a knee replacement and I chose to come to Macon Valley Nursing and Rehabilitation Center for Rehab. I have had the best of treatment. “My name is Ruth Williams Barnes and I was born September 12, 1921 in Dillard, GA approximately 15 miles from Franklin, NC. My parents were Raleigh and Mary Daily Williams. I had a loving childhood. I had three sisters and one brother. “I attended Dillard elementary school, Rabun Gap High school and then Clayton High school in Clayton, GA. I married Roy Barnes on March 11, 1938. He was from Athens, GA area. We were the care takers for Lee M. Happ summer home. On April 8, 1939 we had a son Bobby Lee Barnes, soon World War two broke out, so my husband had to sign up to go, after leaving his current job, he went to work for Gulf oil company for about one year and was then called to fight. “We moved to Clayton, GA while he was gone I did odd jobs, my son was then about three years old. He was gone five years when he got back he went back to work for Gulf oil company and worked there for 58 years, I worked as the manager of the local theater. 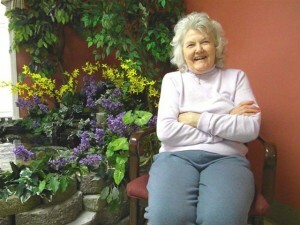 “I then started working for a Doctor office; loved Nursing took courses in Nursing and worked several years in Nursing. I worked four years for one Doctor then I went to work for another Doctor for 50 years and retired on March 31, 2007 at the age of 86,then moved to Franklin, NC. John & Darothy Davis recently celebrated their 58th wedding anniversary at Macon Valley Nursing and Rehabilitation Center. Darothy is receiving short term rehabilitation so she can return home with John. The Davises are very community oriented individuals. Recently Mr. Davis was instrumental in bringing to the city of Franklin and to Macon County their very own Dialysis Center. All Macon Valley Residents appreciate Mr. Davis for his focus, determination and hard work in seeing the task to completion. Now local families no longer have to drive to Sylva–approximately 25 miles one way, across two mountain tops in the inclement weather–for this life saving treatment.